Today, we’re happy to announce the general availability of our SAP #S4HANA Cloud 1811 release. With our 1808 release, we showed that we support a truly intelligent enterprise suite. This quarter, we continue to deliver more intelligence to SAP S/4HANA Cloud by leveraging additional machine learning scenarios. This blog provides you with the latest and greatest 1811 highlights of our intelligent, next-generation cloud ERP solution. Check out my video below for a quick overview of the smart innovations that power the customer journey to the intelligent enterprise suite. One of the most important Finance highlights is our new Purchase Order Accruals functionalitywhich allows you to significantly speed up your closing process and to increase transparency. As soon as a third-party liability (for example a purchase order) arises and the related payment has not yet been made, the related accruals need to be posted. As of SAP S/4HANA Cloud 1811, you can automatically transfer new purchase orders into the Accrual Engine where you can monitor, review, adjust, and even approve the corresponding accrual amounts. Afterwards, the system can automatically post the accrual amounts. In Finance, we deliver another important innovation – a new overview page for treasurers. With this app, you can display an overview of your interest rate related financial risks including current interest rate, historic interest rate, and yield curves, on a selected key date. In addition, it provides an overview of debt and investment related financial risks, including maturity profile, total debts and investments by key date, debt and investment by interest category and reference interest rate. We are particularly proud to announce that with 1811, we deliver a completely new warehouse management application as an integral part of SAP S/4HANA Cloud. It comes with 40 new SAP Fiori apps and seven new best practice processes and allows you to enjoy real-time transparency across your warehouse processes. It also allows you to efficiently manage and process product movements within your warehouses – from goods receipt to goods issue – and to increase stock visibility down to storage bin level. Another key highlight of the 1811 release is the new transportation management functionality in SAP S/4HANA Cloud 1811 which supports transportation planning and execution in an order-based transportation consolidation scenario. Considering transportation constraints, it allows you to create freight units from sales orders and to send them to a decentral transportation management system for planning purposes. 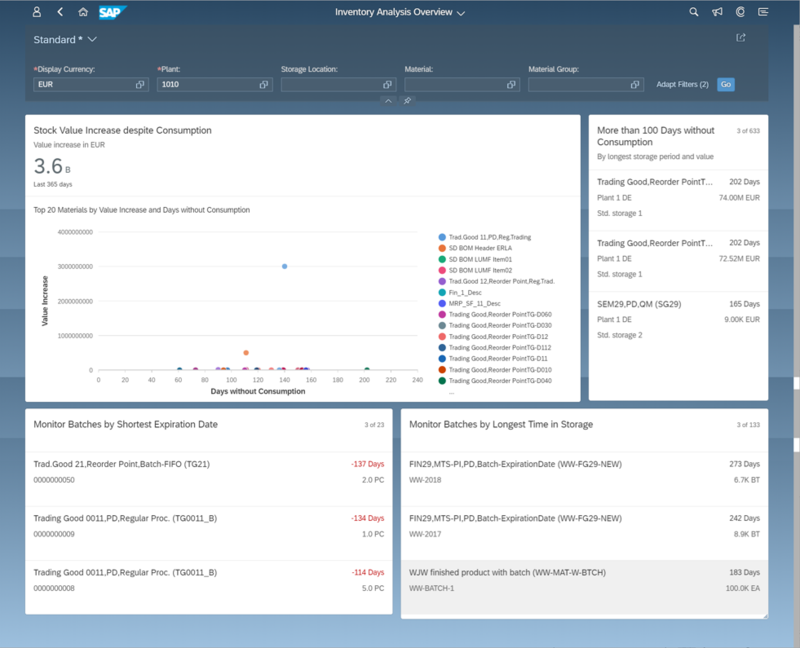 As freight orders, the results can be sent back to SAP S/4HANA Cloud where they can be used for triggering deliveries based on freight orders. Our new overview page allows you to optimize your inventory situation by monitoring stock aging. You can use it as a cockpit to track the most relevant KPIs and derive necessary actions. In addition, it allows you to perform your daily tasks quickly and effectively without the need to open many different reports and transactions. With SAP S/4HANA Cloud 1811, you can change the processing status of your projects in the Project Control app for project financial controllers as well as in the Project Brief app for project managers. To increase user efficiency and to improve usability, we have extended the project header field in the Project Control app and the Project Brief app. 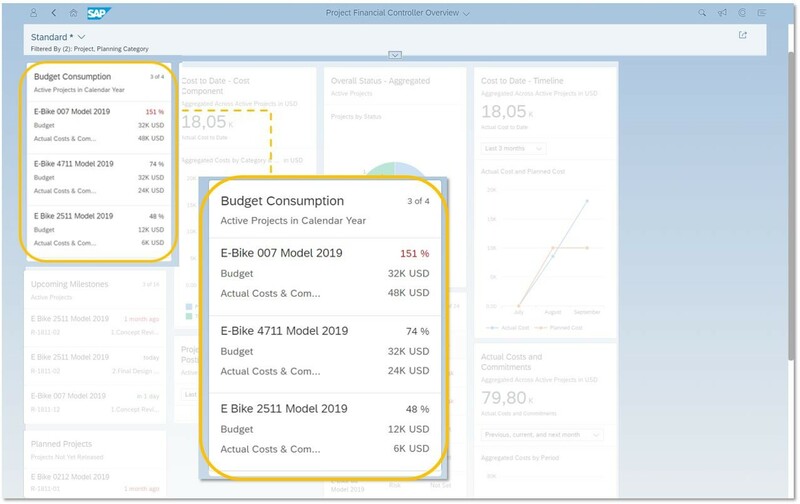 Another crucial innovation for project financial controllers, which has been delivered with SAP S/4HANA Cloud 1808 already, is our new budget availability control functionality. It allows you to monitor budget consumption and thus minimize the risk of budget overruns. You can activate it in the Project Control app by assigning budget availability control profiles with thresholds to your projects. 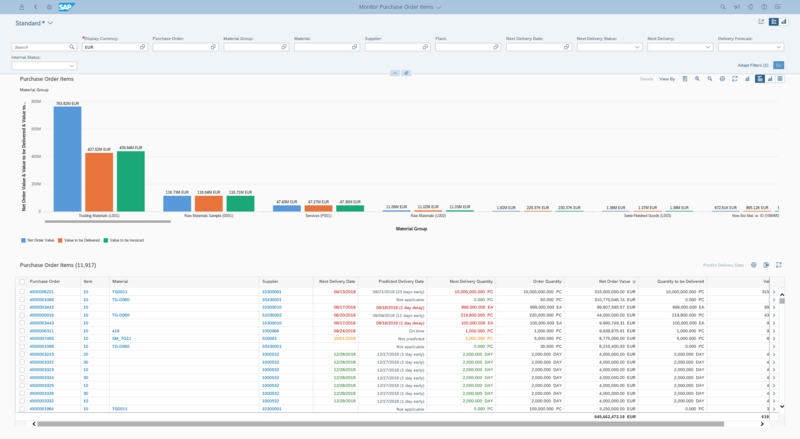 Moreover, we have released a new card regarding budget consumption on the overview page for project financial controllers. This card reflects the percentage of the budget that has already been consumed for specific projects in the current year. With the SAP S/4HANA Cloud 1811 release, we deliver a new machine learning innovation which generates significant business value as it addresses production problems caused by material delays. The new functionality helps you to predict the delivery of ordered materials more reliably and enables purchasers to mitigate negative effects on production by taking the necessary actions. This innovation is especially important for manufacturing companies which depend on a steady and reliable supply of material. As you know, SAP ERP and SAP S/4HANA can be connected to SAP S/4HANA Cloud to centralize procurement activities in one system using S/4HANA Cloud as a procurement hub system. With 1811, it is now possible to also connect Ariba to make use of its guided buying features. To ensure complete transparency for requisitioners, references to business documents, such as purchase orders, goods receipts, and invoices that have been created in the connected backend systems are displayed in SAP Ariba’s purchasing request. 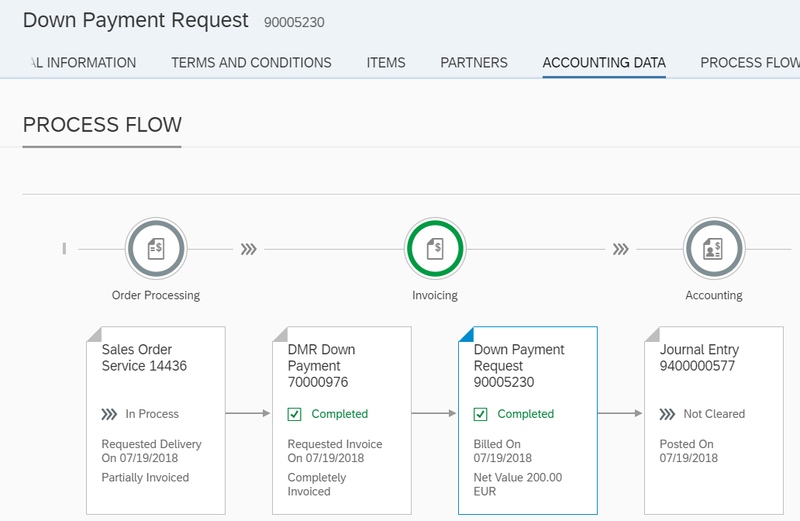 Approvals can be performed either in SAP Ariba, SAP S/4HANA Cloud for central procurement, or in the connected backend systems. As a resource manager searching for the right resource, you can now include skills from other assignments in skills matching. In addition, you can show an availability match percentage that is based on the monthly distribution of required hours and free hours. This is an innovation in SAP S/4HANA Cloud 1811 which is especially relevant for Germany, Austria, and Switzerland and is therefore delivered for these countries.Down payment requests are available for the contract type time and expense. You can request down payments in the billing proposal for time and expense projects. In contrast to invoices, they can be issued without prior service delivery and you can use them as liquidity securities. Received down payments are handled as liabilities towards the customers. This innovation provides seamless integration between buyer and seller systems for returns processing. In the buyer system, the creation of returns purchase orders, goods receipt, and quality inspection takes place. Returns purchase orders are created automatically and subsequently delivery, picking and goods issue are performed. This feature allows you to trigger the replication of bills of materials, engineering change masters, and finance master data from the headquarters running on SAP ERP or SAP S/4HANA to the subsidiaries running on SAP S/4HANA Cloud. This is achieved by sending IDocs from the on-premise systems to SAP Cloud Platform Integration. From there, the master data is forwarded to SAP S/4HANA Cloud by using ODATA API services. With this new functionality, you can drastically reduce your implementation time while at the same time making sure that your master data is harmonized across the entire enterprise. Finally, I would like to draw your attention to the Implementation Portal for SAP S/4HANA Cloud. This new cloud product makes use of our well-proven SAP Activate methodology and provides you with a guided and responsive to-do list containing all necessary implementation tasks, such as fit-to-standard analysis and scoping. 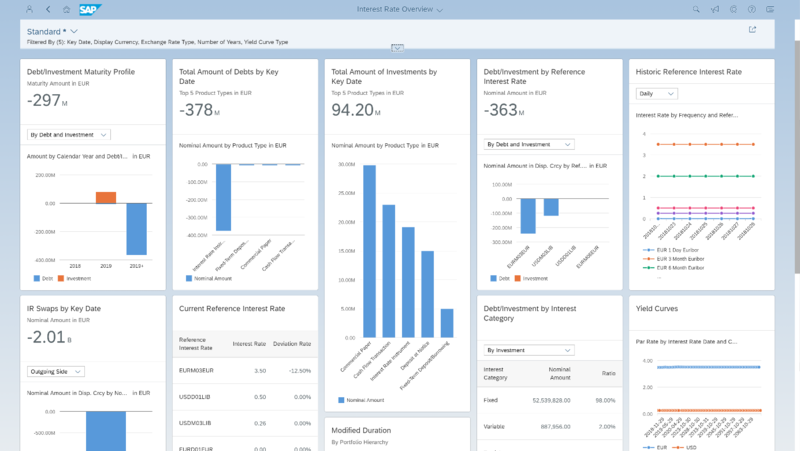 It leverages content from SAP Roadmap Viewer and SAP Best Practices Explorer to make your journey to Cloud ERP as smooth as possible. We are spearheading it with first customer projects, consider it in your projects as standard to reduce your costs and improve projects going forward. If you would like to learn more about SAP S/4HANA Cloud, stay tuned for the updates that my colleagues will be providing within the next couple of days. Follow us via @SAP and #S4HANA, or myself via @SDenecken.